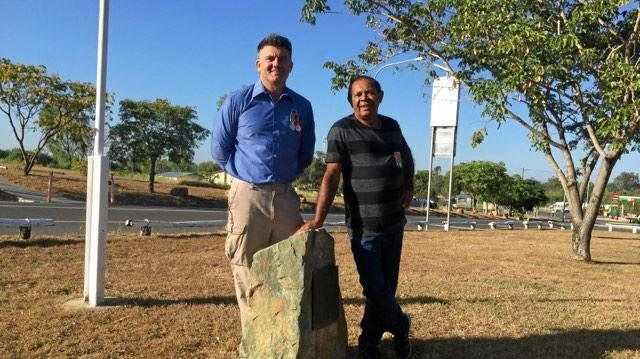 ONE of the UK's most innovative plays has landed in Queensland. The Curious Incident of the Dog in the Night-Time centres on 15-year-old Christopher Boone (Joshua Jenkins), who has an extraordinary brain and is exceptional at math but is ill-equipped to interpret everyday life. He has never ventured alone beyond the end of his road, he detests being touched and he distrusts strangers. But when Christopher falls under suspicion for killing his neighbour's dog, his detective work to identify the true culprit takes him on a journey that upturns his world. The play was adapted by Olivier Award-winning playwright Simon Stephens from Mark Haddon's best-selling book, and directed by Tony Award winner Marianne Elliott (War Horse). Now the National Theatre's acclaimed production - the winner of five Tony Awards and seven Olivier Awards - has hit our shores for a national tour including a 12-date run at QPAC in Brisbane. Star Joshua Jenkins talks about bringing his beloved character to Australia and what to expect from the global theatre phenomenon. 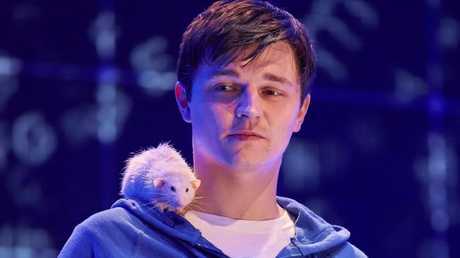 Joshua Jenkins in The Curious Incident of the Night-Time. Q: You were the first actor to take this role on tour in the UK and you're the first to perform it here in Australia. How have you found Aussie audiences? A: The audiences in Australia have been wonderful. The theatre was packed every night and the response after the show was incredible. 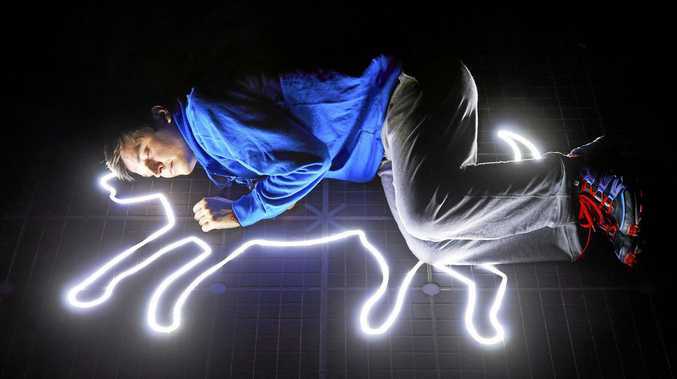 But it has been all over the word and in the UK, and I think that's down to the story of Curious Incident being so strong and because it's about universal themes that everyone can relate to all over the world no matter what language you speak or where you're from. It's about family, love, coming of age and difference, so there's something there for everyone. Q: You're on stage for this entire show. What are the challenges, and rewards, of such a demanding role like this? A: Playing Christopher is an emotional roller coaster and it's incredibly demanding both physically and mentally. It requires a lot of concentration from start to finishes and for the actor playing the part to remain disciplined both in and outside of work throughout the duration of the contract (12 months). So its hard work but the rewards far outweigh it. Meeting people after the show and seeing how much this book and play means to them means the world to us and makes all the work seem so worthwhile. Also, parts like Christopher are the reasons we all become actors. To challenge ourselves and go places creatively that we perhaps never thought we could. I love playing this role and consider myself very lucky to be doing so. Q: What do you love most about your character Christopher? A: The way he sees the world. For most people we can look up at the stars and see its beauty at face value, but he sees a universe of infinite possibilities. Most people look at the rain and grab an umbrella and carry on with their day, where as Christopher looks up and sees how it's all connected and those raindrop have come from perhaps Mexico or Canada for example. He always sees the bigger picture and understands that we as people are only a small part of that beautiful machine. Q: Is this stage adaptation based on the adult version of the book, or a mixture of it and the children's version? A: It's very much based on the adult version of the book and remains very loyal to it. The main difference I would say is that in the book we enter Christopher's mind through his words and we experience what he sees and feels through what he tells us in the first person. Where as in the play we use a lot of visuals for audience to experience what he's going through. We use a lot of music, lighting, projections and physical theatre and i think it makes for a more interesting and immersive experience for the audience member. Q: Author Mark Haddon has been quoted as saying the book is about difference, rather than any specific disorder. What do you hope audiences take away from the play? A: I totally agree. I think it's about difference and how we in society treat people who are different or perhaps see the world differently. Also for me its about the celebration of difference. As the world would be a pretty dull place if we all looked, thought and felt the same way. The Curious Incident of the Dog in the Night-Time opens at QPAC's Concert Hall tomorrow and is on until June 24. For more information and tickets go to curiousincident.com.au.